Do you have what it takes to conquer the spicy challenge? Here is how it works: You pick any dish on the menu and we prepare it at an insane spice level. You have 15 minutes to finish everything on the plate. 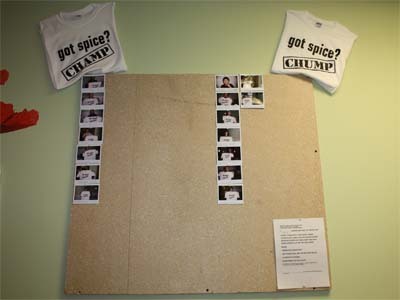 If you manage to eat it all you can proudly wear one of our cool custom "Got Spice" Champ shirts! Even if you can't make it you'll still get a "Got Spice" Chump shirt. If you'd like to give it a try let us know and we'll have you fill out the participation form and sign the waiver. Yes it is that spicy! © Copyright 2012 Chang Cuisine Restaurant.